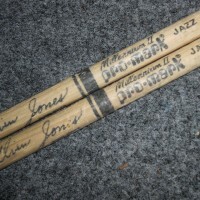 Elvin Jones’ Used Promark Signature Model Drumsticks, $85.00 Pair. 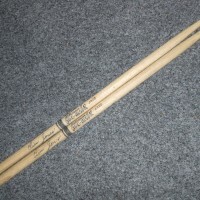 This pair of Elvin Jones signature model drumsticks were owned and used by Elvin Jones between 1990 and 2004. Acquired directly from Elvin’s wife. Laser etched display case available separately for $40.00. 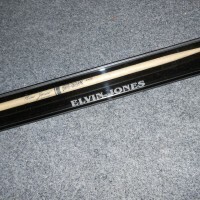 Includes COA signed by Elvin’s wife. $7.00 US Shipping.